If you use a lot of sim cards then you probably need this Sim Card Storage Case. This case comes in black and silver and can hold 12 nano sims and has room for the SIM card tray tool too. All spots are neatly cut out in foam so that they are secure and easy to find. And as not all the SIM card eject tools are the same they included one that fits perfectly in the box. 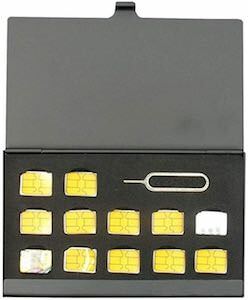 Now you can have all your SIM cards with you so that you are always ready to have the right phone number active. This box is great for people that travel a lot or who use a lot of burner numbers. So if you need a way to organize your cards then come get your Sim Card Storage Case. We all have some of those things that need a special box something like jewelery or some cool gadgets. Now you can have your own hardwood box with and OS X logo on top printed on a ceramic tile. The box is all lined in velvet and can keep open or closed on it’s own. 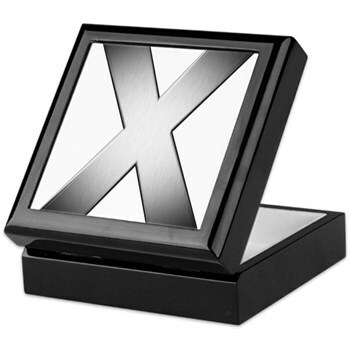 Go have a look at the box and see how cool the OS X box is.